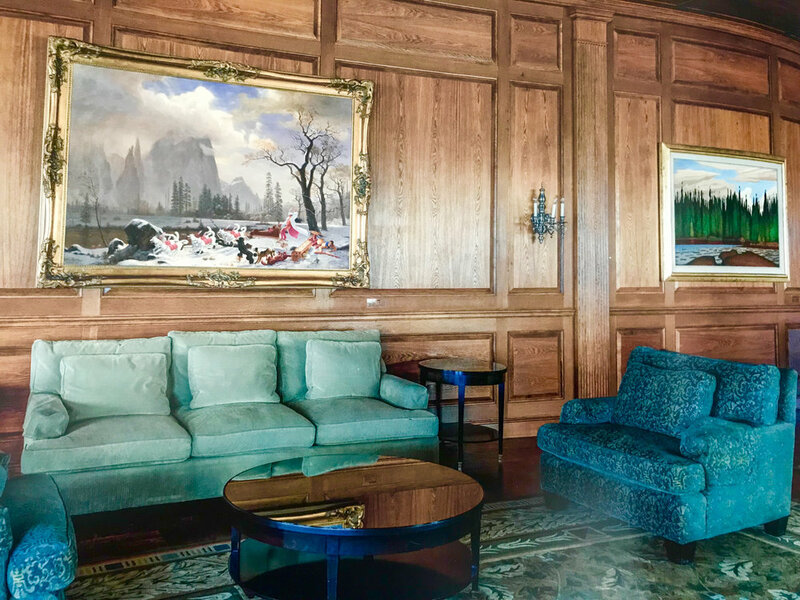 I recently had the opportunity to tour Toronto-based Royal Bank of Canada’s (RBC) incredible art collection. What a privilege it was to get an intimate look at this comprehensive selection of Canadian art with RBC curators Robin Anthony and Corrie Jackson. 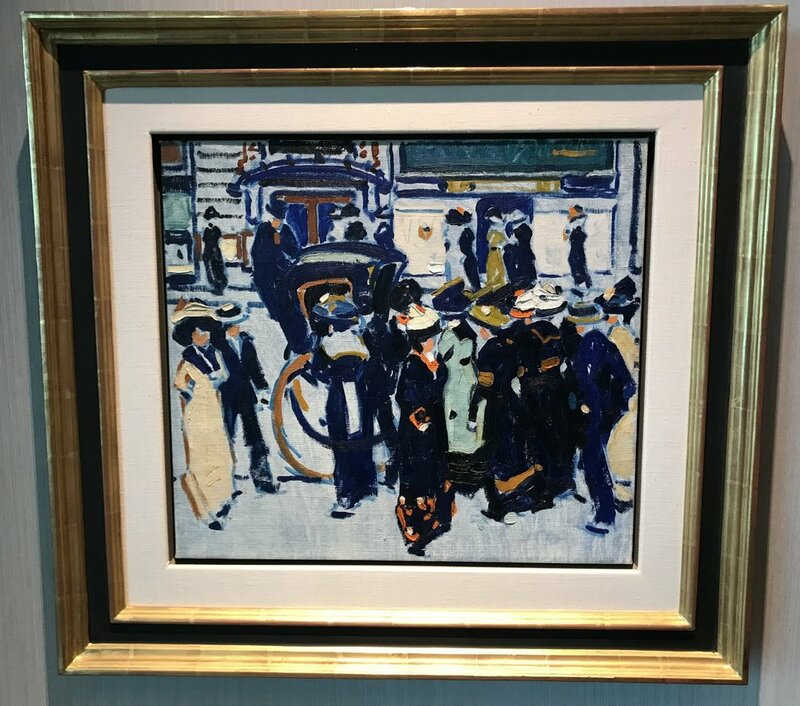 Initiated in 1929, the RBC art collection now contains over 5,000 pieces across the country (bank branches excluded). With the sole mandate of ensuring all RBC art is by Canadian artists, the body of work ranges from traditional (e.g. Group of Seven oil paintings) to contemporary painting, sculpture and video, with a particular focus on growing the number of works by female emerging artists. With regular office renovations the art tends to rotate, spending 9 months on average in Robin and Corrie’s department. When selecting art for a new space, Robin and Corrie work with that area’s employees to determine the appropriate piece of art, asking questions like who will be visiting, how they want to feel, etc. It’s important to them that employees feel comfortable with the art; that it’s in harmony with that particular environment. Educating employees on the art is also part of their mandate. 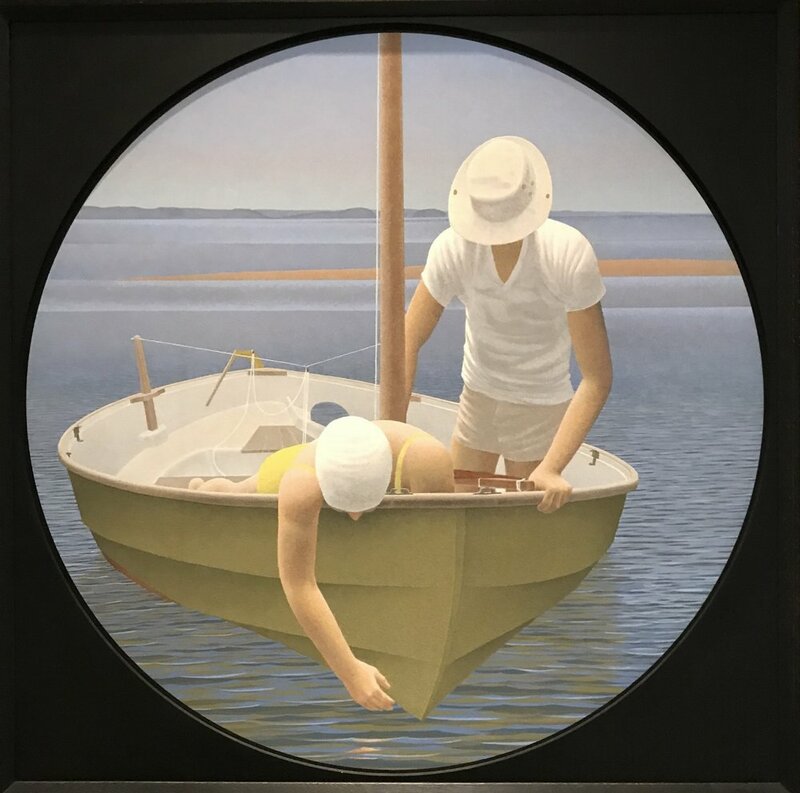 Pieces from the RBC collection are frequently on loan: for example, Alex Colville’s Looking Down was part of the AGO’s 2014 Colville retrospective. Occasionally art is de-accessioned through donations or employee auctions where proceeds are donated to the United Way. At a minimum RBC purchases 20 new works annually – in 2017 it was 100 – and within their acquisition budget a certain amount is allocated to mid career artists, and another portion deliberately earmarked for purchasing art from emerging artists. On that theme, this year is the 20th anniversary of the RBC / Canadian Art painting competition. Open to self-identified Canadian painters in the first five years of their career (interested? you have until May 1, 2018 to apply), the competition attracts over 600 entries. A panel of judges identifies 15 finalists who are featured in their own show at The Power Plant in Toronto. The winner receives a residency at Banff Centre for Arts and Creativity and $25,00, the two honourable mentions receive $15,000 each, and the remaining 12 finalists receive $2,500 each. Moreover, RBC continues trying to support the finalists as their careers continue. I found it particularly exciting to recognize some of the 2017 finalists’ art as the booklet of the finalists RBC distributes was regular reading last year by my then five year-old daughter. 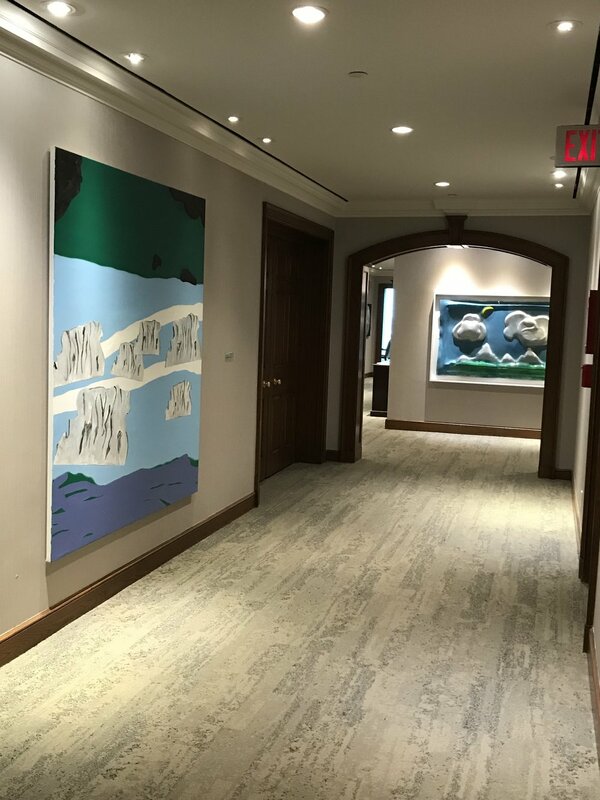 In addition to the curatorial centre, our tour included a visit to the prestigious 40th floor of the RBC South Tower where the driving theme among the paintings is landscapes, a clever choice given the extensive and impressive views of Lake Ontario from many of the rooms. Brilliant placement pairs Lawren Harris’s Northern Lake – the epitome of Canadian landscape scenes – with Kent Monkman’s subversive Charged Particles in Motion, featuring Monkman’s drag queen alter ego, Miss Chief Eagle Testickle, successfully leading a dog pack of native huskies through the terrain while the rifle-bearing European lies fallen on the snow, his sled toppled sideways by his pack of imported dogs. Initially a controversial purchase, RBC employees grew to love it. When relocated recently to the 40th floor, its absence was keenly felt by its former neighbours. Then there’s Grand orme by Marc-Aurele Fortin, whose black-lined tree dominates the canvas while the village church has a nearly-missable presence, a creative decision completely in opposition to the church-dominated landscape paintings of his peers. Carrie shared her excitement for Elizabeth McIntosh’s Untitled (disconnected layers on silver ground), where the same iceberg is represented six times in various states of transformation. 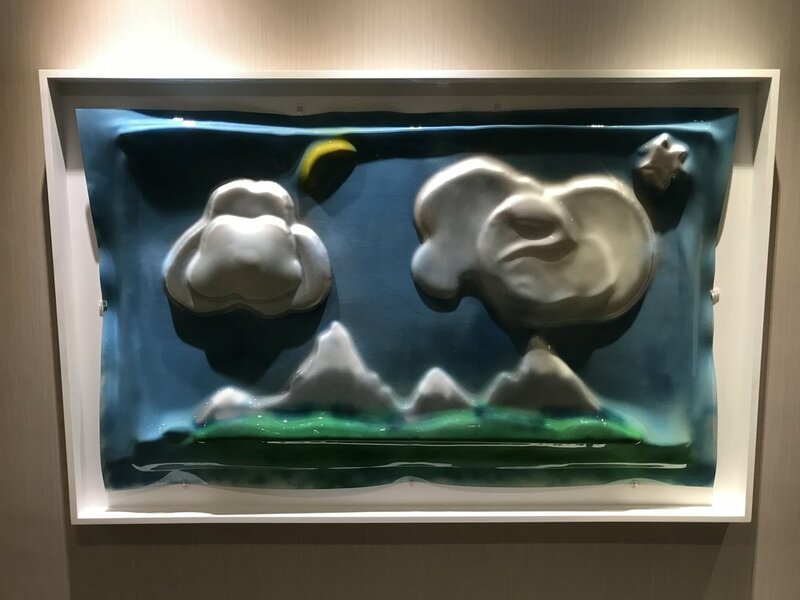 There’s a room dedicated to works by David Milne, outside of which Iain Baxter&'s Landscape with Mountain and Sea, a fun, childlike piece made with painted vacuum-formed plastic (!) winks at Pierre Dorion’s bewitching Bowring Park IV. 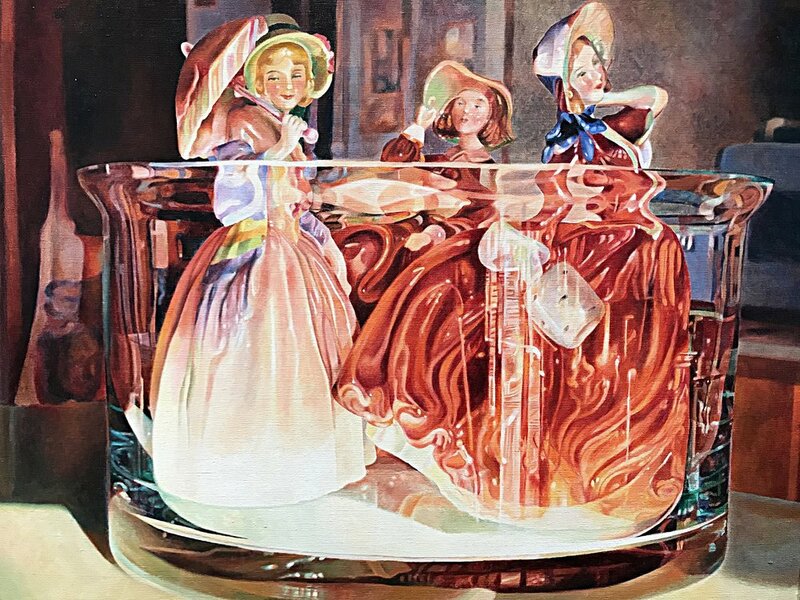 I resisted the urge to touch Paul-Emile Boruas’s thickly impasto’ed Ronde Eveillee (I swear, I resisted) and marveled at Mary Pratt’s impeccably-rendered still lifes. 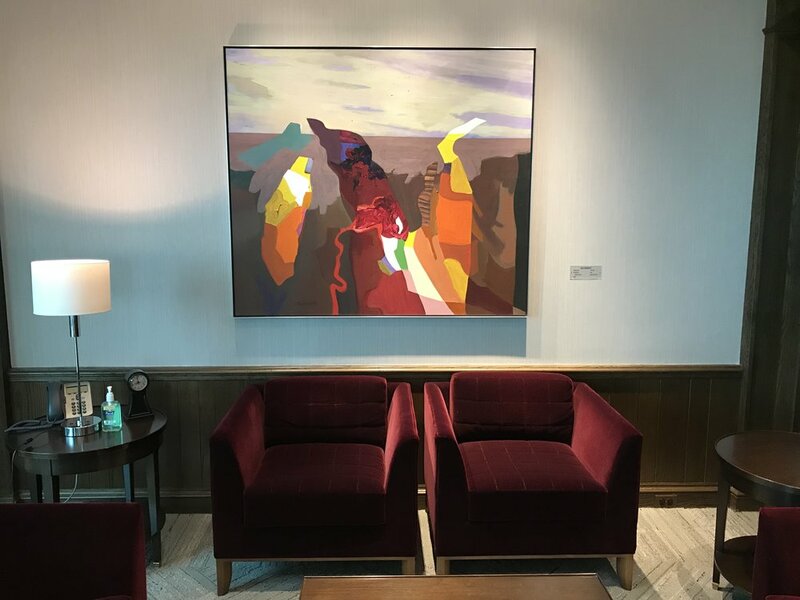 They say you’re not supposed to match art to the furniture, but I loved the velvet burgundy chairs below Jack Shadbolt’s Land Memory, and the way light carries through the art onto the furniture below it. Down a hallway, three dramatic Edward Burtynsky photographs; in a private phone room with a single chair, an Annie Pootoogook; in one meeting room a spectacularly exciting Harold Klunder self portrait, while in another a soothing Wanda Koop. 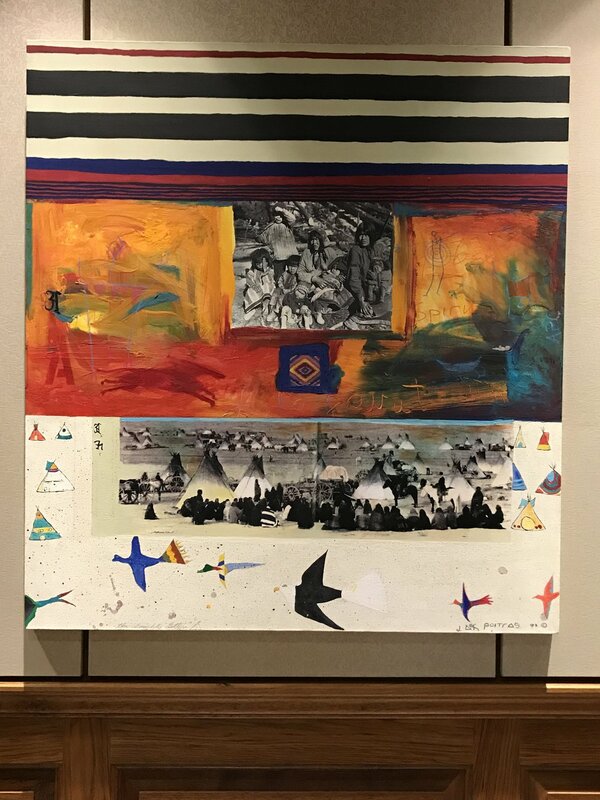 And finally, a sneak peek around a corner at Jane Ash Poitras’s The Almighty Letter A, a piece I’m partial to for the name alone if nothing else. If you’re not a senior banking executive or fear you won’t be invited on an RBC tour, I have good news. RBC created a beautiful book of their contemporary collection – at least as it stands now – and they hope to have their collection accessible on line by the end of the year. And of course, you can also enjoy the RBC Canadian Art emerging painters IRL at the Power Plant later this year – see if you can anticipate the winner before they are crowned.